Billionaires are rare; self-made ones even more so and they stand as monuments of what people can do with the right amount of dedication, perseverance and intelligence. 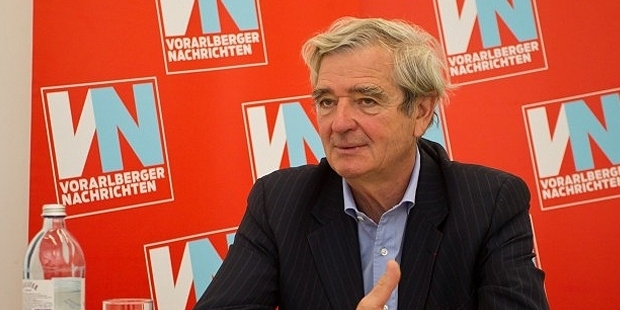 One such person is Reinold Geiger, the CEO of L’Occitane, a natural beauty products company headquartered in Manosque, France. Once a skiing champion, Geiger is a remarkable example of how much a person can accomplish in spite of modest beginnings. Reinold Geiger was born in 10th July 1947 in Dornbirn which is a city in the Austrian state called Vorlaberg. His father was employed as a carpenter in the city, but despite the humble setting of his childhood, Geiger went on to graduate as a mechanical engineer from the world-renowned university ETH Zurich. 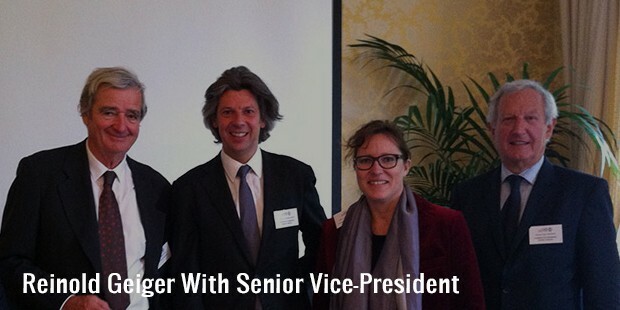 After finishing his undergraduate studies he went on to obtain a masters degree from the Insead Business School. Upon completion of his studies, he opened several small businesses in the early seventies. From then on he went on to open a company focused on cosmetic packing and within a few years acquired the small cosmetics company called L’Occitane which would subsequently take the industry by storm and make him one of the richest men in the country as well as the world. 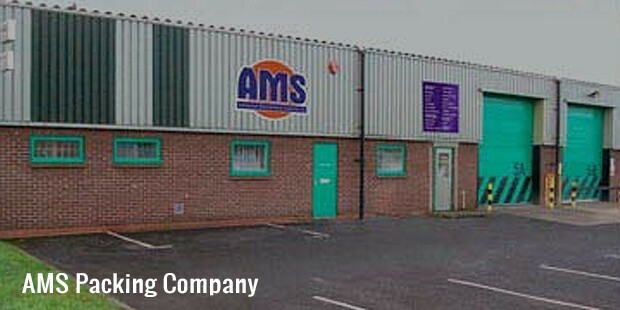 During his time in Paris, Geiger founded the AMS packing company which dealt with the packing of cosmetics. He would subsequently go on to sell this company at a profitable price and went on to invest heavily in failing companies and businesses. It was at this juncture that he started to invest in a company called L’Occitane which specialized in natural creams and perfumes. At that point the company was mired in losses but Geiger’s sound judgment and business acumen soon put the company back on its feet. 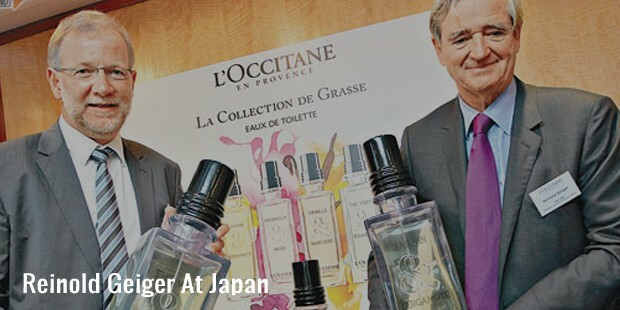 After becoming the CEO of L’Occitane he began an aggressive expansion of the company in China and Japan where the products became increasingly popular over the years. 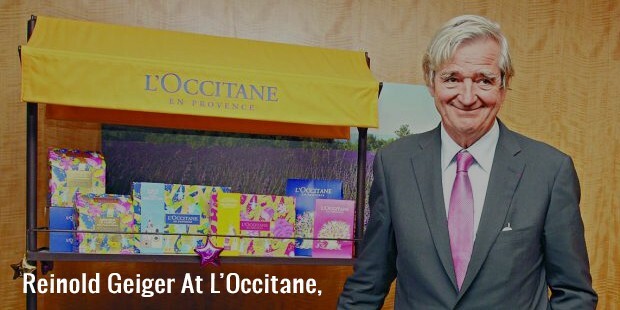 His intelligent expansion scheme not only resulted in huge profit margins but also made L’Occitane one of the biggest names in the beauty products industry. 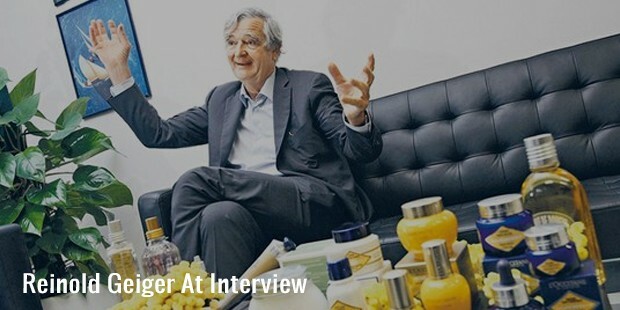 Ever since Geiger became the CEO and the major shareholder of the company in 1996, L’Occitane has made a meteoric rise in the beauty industry. At present the company employs more than seven thousand people and has opened thousand of outlets scattered across the world with shops in over ninety different countries. It stands as a testament to Geiger’s business acumen that he transformed a company consisting of a couple of shops to a beauty products empire. Geiger’s story goes to show how people can handle difficult situations and yet come out on top. Today, Reinold Geiger is sixty-eight and the head of one the most revered names in the Beauty products industry with an estimated worth of 1.72 Billion (according to Forbes magazine). Having been a professional skier, Geiger is also the owner of a ski chalet in Meribel which goes to show that one can scale the heights of fame and money, yet make time for special passions.